There isn’t a person in the world who hasn’t had problems with bugs at some point in their life. Whether it be ants, roaches, flies, bees, or silverfish, having insects in one’s home is an extremely unpleasant circumstance. An entirely understandable first thought may be to go straight to the store to pick up any number of vaguely helpful insect poison, or perhaps even to call pest control. Things don’t have to be quite so expensive, or potentially even dangerous for a family’s health, so I’m going to go over the plethora of methods for safely and healthily remove insects from your home. Many people’s concerns might not lie exactly upon the insects that have invaded their homes, but instead, the safety of the methods for neutralizing these pests. As it would turn out, pesticides are, in fact, detrimental to the health of the average family. For example, consider your average can of insect repellant. Chances are that this can contains a chemical known as DEET, formally known as diethyltoluamide, that carries excellent repellent properties, effective on most kinds of biting insects. Although DEET may sound just fine and dandy for keeping yourself biteless around the house, there are a number of alternative effects that should be considered. Notably, DEET can act as a skin irritant that, in severe cases, causes symptoms such as burning eyes, breathing difficulty, and headaches. 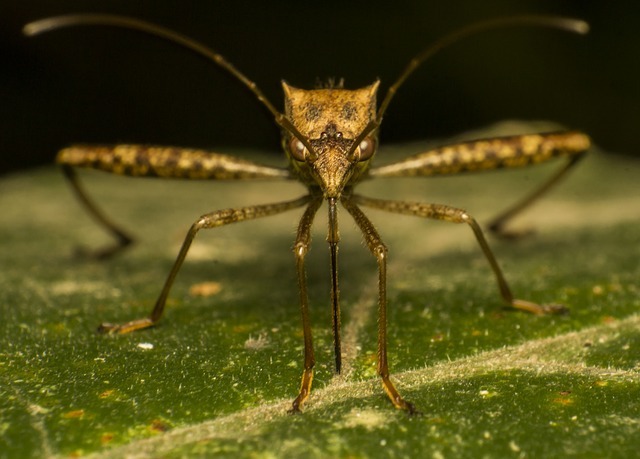 Even more seriously, DEET has been shown to interfere with various enzymes important to the functioning of the immune system, with potential effects as severe as seizures or even death. Given that children are still developing, they stand a much more steep chance of harmful interaction with DEET, and other various pesticides. There is no need to forgo the practically necessary bug protection around the yard and further into nature, however, as safer alternatives do exist. One such safer alternative is picaridin, a chemical derived from a pepper that is safer, less oily, and carries no natural odor of it’s own. Lemon eucalyptus oil also is an excellent repellant, with the added bonus of fighting toe fungus and calming the body. Knowing about repelling some of the bigger biters like fleas and ticks is all well and good, but what about the non biting, yet still disturbing insects such as ants, cockroaches, and beetles? Luckily, as long as these creatures have existed, humans have been desperately attempting to keep bugs out. No longer does a nasty ant infestation necessitate a trip to the pesticide aisle or a call to pest control. Instead, it’s time to learn about the deceptively simple and natural solutions to these pests that may even be around the house already. To begin with, think long and hard about why you have this insect infestation. Are there breadcrumbs and other tasty morsels strewn about? Do yourself a favor and ensure that you remove all these items, and chances are, the insect issue might not be so severe. Ants are creatures of scent, and as such, solutions with a bitter and strong scent tends to send ants back on the road. Take white vinegar for example. A delicious part of any vegetable meal, with a very particular scent. Mix this bitter liquid in equal parts water, and pour it in a spray bottle, and take enjoyment in the fact that you created a healthy repellent effective on all insects, not just ants. Make sure to spray around entry points and baseboards daily, while wiping up the ants that couldn’t quite escape. Despite being disturbing and unnatural as a whole, insects (arachnids too!) tend to maintain a universal dislike for many scents and chemicals. Should repelling ants in particular not be good or effective enough, killing the ants is just as easy with a simple mix of borax and sweet jelly. Ants are naturally attracted to the taste and odor of borax, and will gladly eat their fill, bring some back to their home, and finally properly keel over and die. When it comes to insect resilience, ants are small time, and much worse insects may be in your home. Cockroaches, for example, have earned the reputation of being implacable, even in the face of radiation. Despite that, they are still living creatures with dislikes that can be taken advantage of, and with no sacrifice of your own. Starting off with an incredibly simple and handy method of putting one’s mind at ease, a spray bottle filled with soapy water kills roaches on hit, and is an excellent method of dealing with the aftermath of the long term method I’m about to talk about. If ending your insect issues for good is the plan, diatomaceous earth is exactly the chemical for the job. Non-toxic to humans and pets, discrete, and reasonably priced, even roaches can’t stand against it. Sprinkle this powder in areas where roaches (and other shelled insects) congregate, in particular, put a healthy amount on top of cabinets, and dark moist locations. Upon coming in contact with diatomaceous earth, the chemical begins to erode and pierce the shells of the roaches, killing them in 48 hours. During that process, however, the roaches will seek out water fervently, leaving them open to a quick squirt of soapy water. Insect control shouldn’t be some mystical problem to be left to big name companies shilling their newest chemical, lauded as the easiest way to deal with bugs of any sizes. Now that all this information is at your fingertips, matters can easily be resolved, with a spreading of a powder and a quick, bitter spray. Should the methods discussed here not be good enough, there are a plethora of other options, just as simple, and nearly as effective Not to mention, the only thing that’s going to be negatively impacted in the household will be the insects causing all the problems. No need to worry about sick children, or ill cats and dogs when the solution was natural all along. Enjoy your insect and bee-free household!